Salk Institute scientists Joanne Chory, Joseph Ecker and Rusty Gage have been named to the 2015 list of “The World’s Most Influential Scientific Minds” by Thomson Reuters. Reuters, a multinational mass media and information firm, compiles an annual list of scientists who published the greatest number of articles ranking among the top one percent by citations received in their respective fields. There are 3,126 named on the 2015 “Highly Cited Researchers” list. Salk Institute President Elizabeth Blackburn said the inclusion of the three Salk faculty was a recognition of the value and influence of the Institute’s research. “This recognition is an honor for our faculty and a testament to the extraordinary level of science taking place at Salk,” says Blackburn. 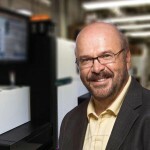 Rusty Gage is a professor in the Laboratory of Genetics and holds the Vi and John Adler Chair for Research on Age-Related Neurodegenerative Disease. His work concentrates on the adult central nervous system and unexpected plasticity and adaptability to environmental stimulation that remains throughout the life of all mammals. In addition, he models human neurological and psychiatric disease in vitro using human stem cells. His lab studies the genomic mosaicism that exists in the brain as a result of mobile elements that are active during neurogenesis. 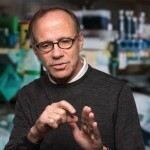 Joseph Ecker, a professor in Salk’s Plant Biology Laboratory and director of the Genomic Analysis Laboratory, is a Howard Hughes Medical Institute and Gordon and Betty Moore Foundation Investigator. He also holds the Salk International Council Chair in Genetics. He is one of the nation’s leading authorities on the molecular biology and genetics of plants. 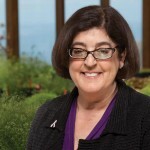 Ecker was a principal investigator in the multinational project that sequenced the first plant genome. The plant, Arabidopsis thaliana, has now become the reference organism for the studies of all plants. Ecker’s current research aims to understand epigenetic processes, the pattern of chemical markers on DNA that regulate genes, utilizing plants, mice and human subjects. Joanne Chory is professor and director of Salk’s Plant Molecular and Cellular Biology lab. She is a Howard Hughes Medical Institute Investigator and holder of the Howard H. and Maryam R. Newman Chair in Plant Biology. Chory has spent more than 25 years using Arabidopsis thaliana, a small flowering mustard plant, as a model for plant growth. She has pioneered the use of molecular genetics to study how plants respond to their environment and has made major discoveries surrounding how plants sense light and make growth hormones. The basis of Chory’s approach involves mutating Arabidopsis genes and observing the effects on a plant—does it grow faster or taller? Does it stop sending new shoots out in the direction of the sun? In this way, her team has been able to describe the function of multiple pathways that control plant growth.